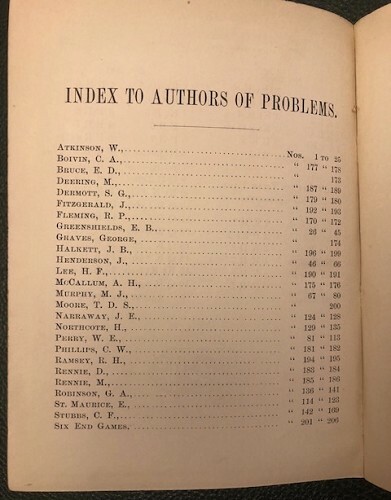 244 pages with diagrams and index. 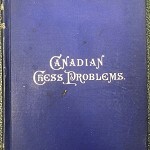 Duodecimo (6 1/2" x 5 1/4") issued in orifinal blue cloth with gilt lettering to spine and front cover. 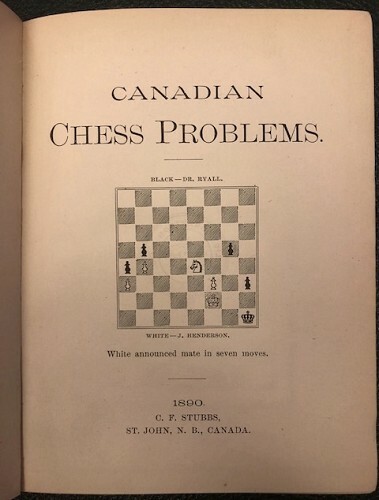 (Betts: 32-18) First edition. 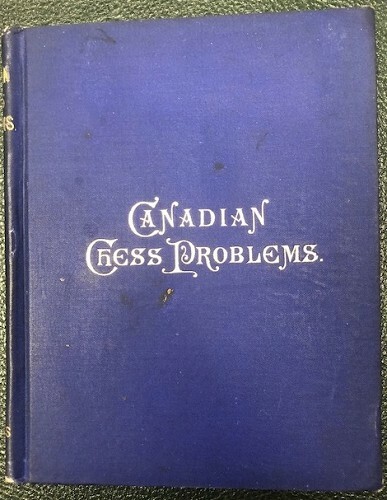 A collection of 206 problems, mainly in 2 or 3 moves, by 26 Canadian composers. 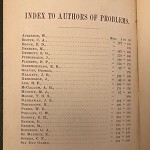 Solutions appear on pages 209-223. 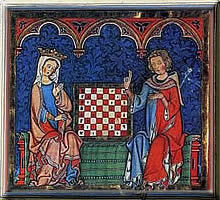 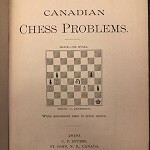 Second chess book published in Canada.